The current issue of OK! 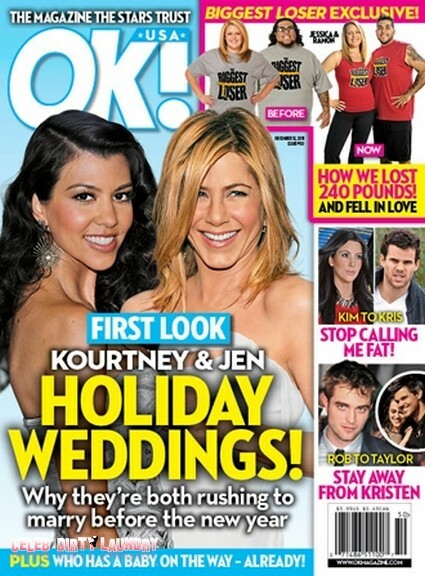 Magazine features the cover story ‘First Look, Kourtney & Jen’s Holiday Wedding!’ The magazine has the scoop on how both Kourtney Kardashian and Jennifer Aniston are rushing to marry before the new year. They may want to check with Us magazine who has an exclusive with Kourtney Kardashian where she says she is not marrying LOL. The magazine also alludes to the fact they have the scoop on who has a baby on the way. They are a bit behind on that story since US has the excusive details of Kourtney Kardashian’s nine week pregnancy. The magazine claim that Jennifer Aniston is set to elope with her boyfriend Justin Theroux before the end of the year. Also featured in this week’s magazine they caught up with the Biggest Loser‘s biggest winners, Jessica Limpert and Ramon Medeiros, who fell in love while losing weight on the show. 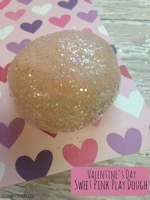 Now that Dancing With The Stars has ended OK! has all the details of the weight loss from this season, who has kept it off and who has struggled! For all this and more pick up the current issue of OK! Magazine!